The Ford F-150 Raptor has always been a popular vehicle for its off-road capabilities, and the 2019 version, which is coming soon, will continue that trend while also enhancing on-road driving. 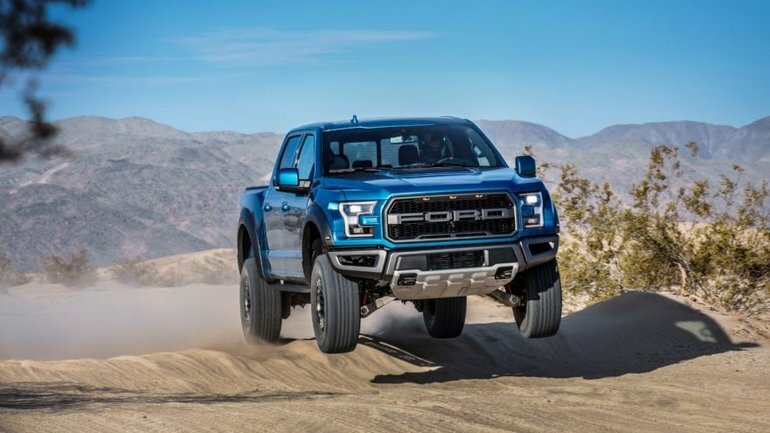 Find out what to expect when the 2019 Ford Raptor arrives at your local Lakeland area Ford dealership, Bartow Ford. The biggest enhancement for the 2019 Raptor is the swap of the suspension to include Fox Racing Live Valve shocks which adapt to the changing terrain instantly for the ideal amount of damping. Remember that the previous model only offered six preset driving modes to adjust your suspension settings. Thanks to the new technology, the latest version’s suspension will adjust without any need for input from the driver. The suspension even includes a sensor to detect if you are airborne on a crest. When it detects this scenario, called Jump Mode, it will firm the suspension for a smoother landing. There is also a Loud Pedal mode to detect aggressive driving and deliver more extreme damping changes. Another addition to the Raptor you will find is Trail Control. It automatically adjusts braking and engine power on each wheel, so you only need to steer. This system lets you choose a speed from one to 20 miles per hour using the cruise control buttons, and it will function regardless of your driving mode. Looking inside the cabin, the latest 2019 Ford Raptor also has new Recaro sport seats, a brand trusted for performance and comfort. These seats include Alcantara inserts plus stitching inspired by the Ford GT, so you will feel reminded of the Raptor’s performance-oriented siblings. Under the hood of the new Ford Raptor, you will find the same familiar engine: the 3.5-liter twin-turbocharged V6. Expect the classic 450 horsepower plus a torque of 510 pound-feet. It works with a 10-speed automatic transmission that engineers returned for reduced shift harshness. You will also notice the newly available Ford Performance Blue paint that first appeared during the 2015 Detroit Auto Show. 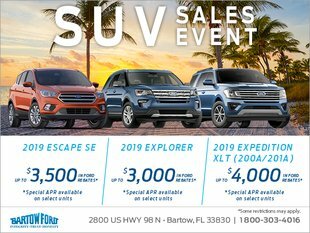 For the latest information on the anticipated 2019 Ford Raptor and other new and upcoming models, talk to our Bartow Ford team at your Lakeland area Ford dealership. You can visit us in person, contact us online, or call 800-303-4016. Let us know if you want to be one of the first to know when the 2019 Raptor hits dealerships.